Major League Baseball is starting to grow weary of the heating feud between American League East rivals Baltimore Orioles and Boston Red Sox and told both teams that “enough is enough”. According to Red Sox manager John Farell, MLB are not yet issuing any disciplinary actions against the players but reminded them to keep their wards in line. The tension between the teams started when Orioles’ slugger and third baseman Manny Machado slid hard into second base and injured Boston’s second baseman Dustin Pedroia two weeks ago. 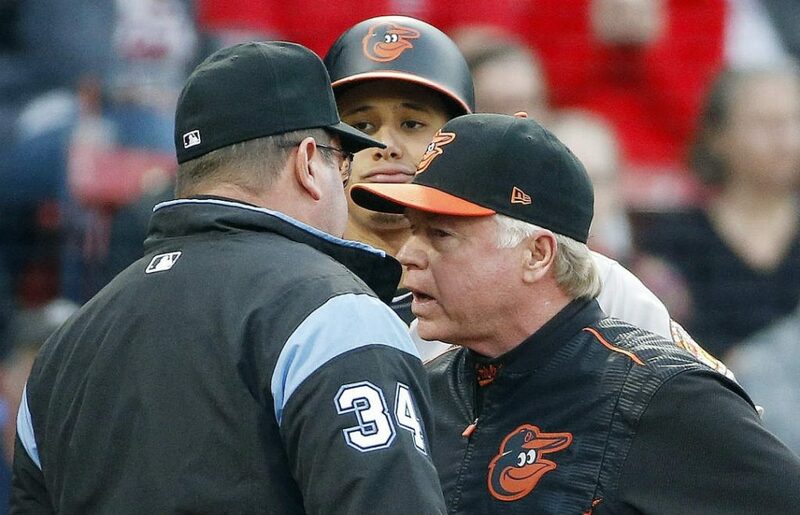 Machado has since been hit by pitches three times in the last two weeks; including the time that Boston ace Chris Sale threw behind the infielder and nearly ignited a bench-clearing fight. As of writing, Boston are hosting Baltimore at Fenway Park with the Red Sox leading 4-2. Orioles starter Kevin Gausman got ejected for throwing an off-speed pitch that hit the hip of Boston shortstop Xander Bogaerts. Home plate umpire Sam Holbrook, who tossed out Gausman, got replaced by Richard Bleier.